Images that have been processed in Photomatix Pro, using several exposures or graduated copies of the same RAW file. The first shot in the gallery is the newest. They don't build 'em like they used to! "Is it me, or is it cold in this field?!" Varied and beautiful collection of HDR images...your processing and compositions are very well done! Great collection of HDR pictures! Very impressive! V.
Great Galleries, pictures , colors and many more ! Excellent HDR images with awesome diversification, Chris! I got no words to express my admiration about your very beautiful pics. One of the best galleries on PBase. Many jewels here. Remarkable images with a very high level of quality and beauty. Bravo, Chris ! VBV. fabulous gallery, amazing colors ! A magnificent gallery. a great pleasure to visit. Again,you definitely changed my mind about HDR ! Big vote for this excellent gallery! Wow! Another excellent gallery Chris! Very beautiful and delightful images! Big vote!! Chris, fantastic imagery and post-process! Excellent HDR, not overdone, just right. Wonderful! Already voted but I enjoyed all of these terrific images once more! Very fine HDR work, I can say as one who uses HDR for a long time. Very naturally looking without usual "HDR feel" images. Great compositions and brilliant colors. Vote. Beautiful images...great job on the processing! I enjoyed viewing your beautiful Gallery! 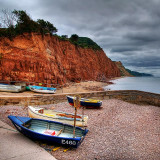 A wonderful collection of HDR images! Excellent work, Chris! This is what HDR should be, understatement of elegance. Beautiful HDRs Chris - they all look truly 3D but very natural. You have obviously mastered this art very well! 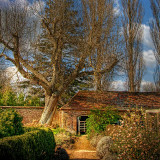 V.
A truly magnificent HDR gallery Chris. It is a real credit to your fine photography work. Well done.V!!! Beautiflul collection of HDR shots. I've tried HDR a few times but my results are nothing like these. you need to put that one up of inside the church in switzerland! Terrific collection, the light and colors are fantastic. Vote. Outstanding photography by any standards. Your superb for compositions really strikes home with these vibrant HDR colours! Big vote! Excellent work. I agree with Hans-Peter - these don't have the unnatural look of a lot of HDR work.